A peep inside the Gainsborough’s front door! 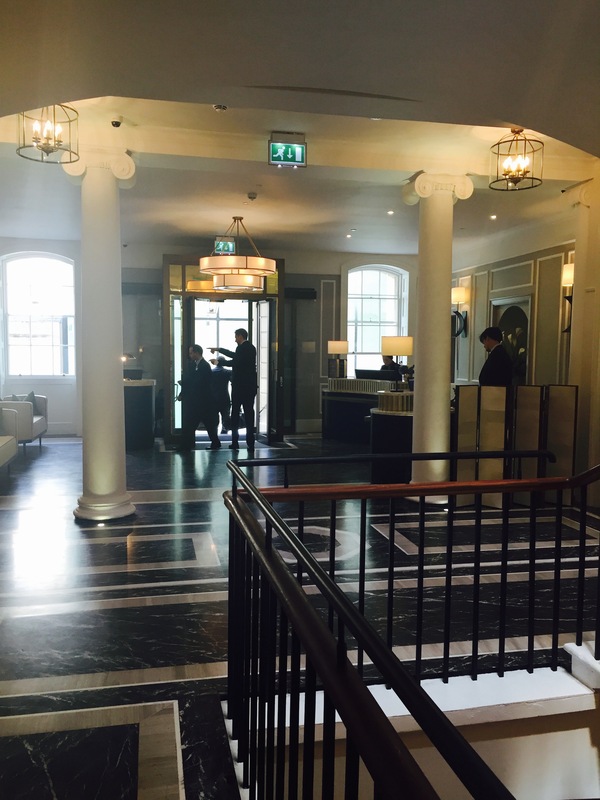 Just popped into see the very helpful front-of-house staff at Bath’s newest five-star luxury hotel The Gainsborough. It’s the latest incarnation for a building that started life as the city’s general hospital before switching to educating youngsters in the technical arts and trades. It was later bought, as a derelict shell, by a Malaysian-based company – well-known internationally for its luxury spa-resorts – called YTL. The stepped side of the ramp leading to the restaurant. 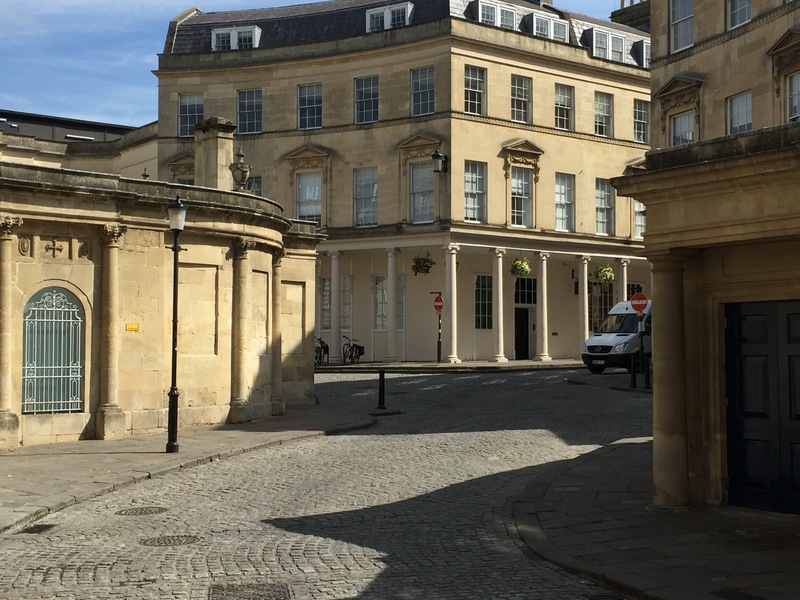 The company also manages Bath’s Thermae Spa and owns Wessex Water so it’s pretty clear – that drink it or bathe in it – Bath’s waters come courtesy of this successful business concern. 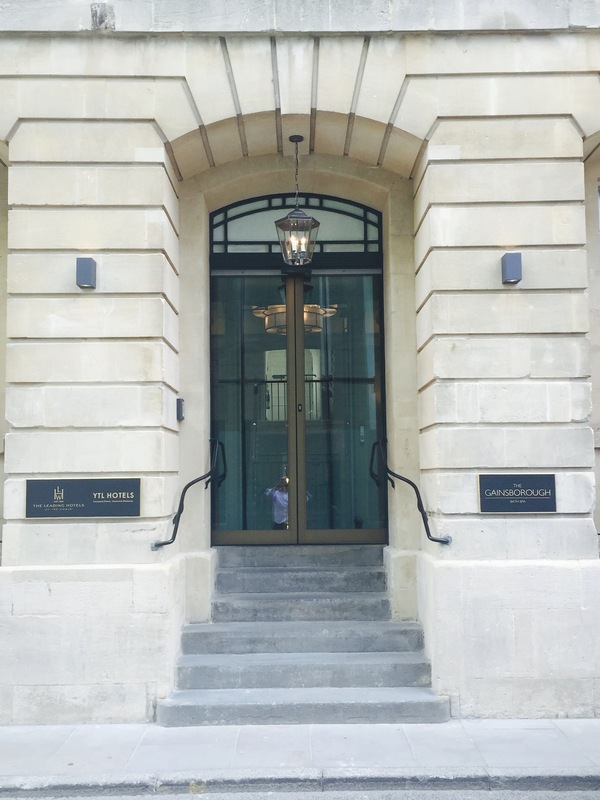 The Gainsborough building has an impressive two-tier entrance ramp which l thought led up to the front door and reception area – but l was fooled. The main entrance in Beau Street. The actual entrance is on the side in Beau Street – the same area in which that fabulous hoard of Roman coins was discovered while building work was underway. The ramp leads up to the hotel’s impressive restaurant which l was shown on a quick tour of the ground floor. 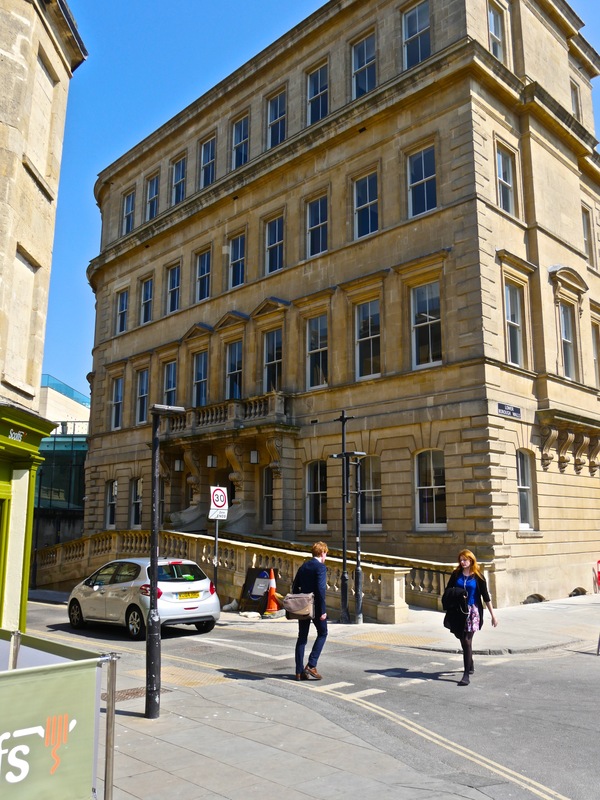 The building has had what they call a ‘soft opening’ and will be officially introduced in September – no doubt when all the initial snags you get with new staff and new hotel are ironed out. It’s all very impressive and of course the hotel boasts a genuine thermal water source for its luxury spa facilities. That l didn’t get to see. 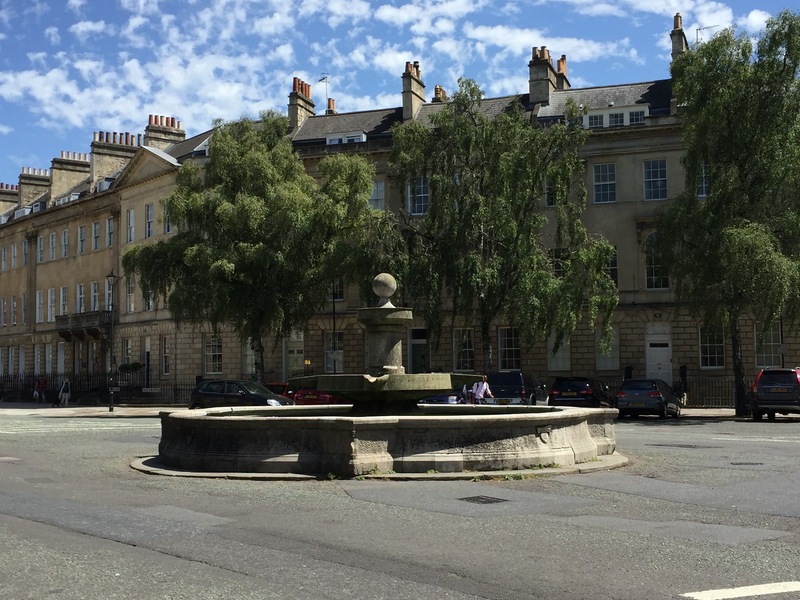 The Laura Place Fountain – not working again. 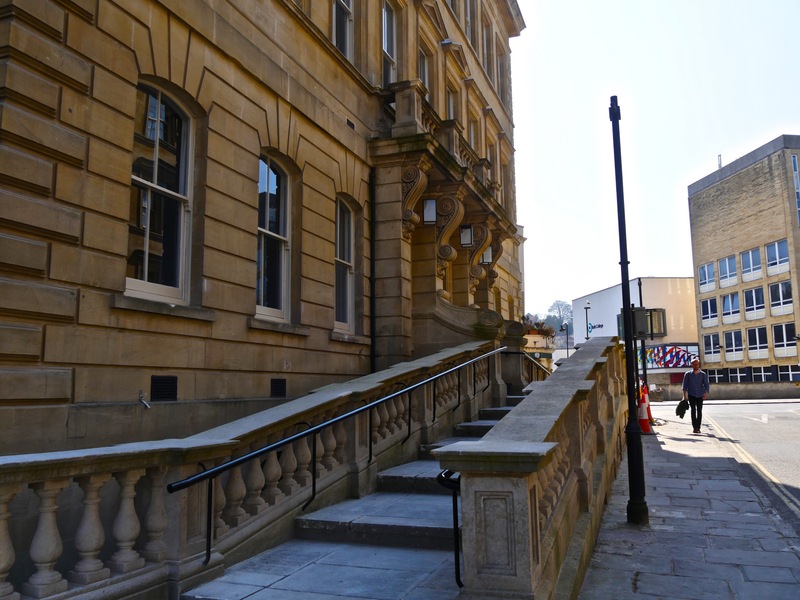 The Gainsborough stands alongside the Thermae Spa and Cross Bath in what is now knows as the Spa Quarter. A perfect place l think for working in a public fountain to celebrate the waters of Bath. The city’s public fountains are a disgrace in a place with a history that flowed alongside its river, thermal and cold spring waters. If not here then it needs someone like YTL to really make something of the ‘ashtray’ that is the Laura Place fountain. It’s a miserable example of a public fountain at one end of one of the most impressive streets in the world!